The Bible teaches that rest for the mind and body can lead to longevity and strength. Ironically however, soul care in ministry is easier preached than practiced, especially when it comes to leaders who often find themselves investing in the lives of others, rather than their own. In today’s tech-driven society, “rest” is often mistaken for “distraction” which can turn quiet time — or playtime — into scanning social media, watching videos, or getting lost in the screen. 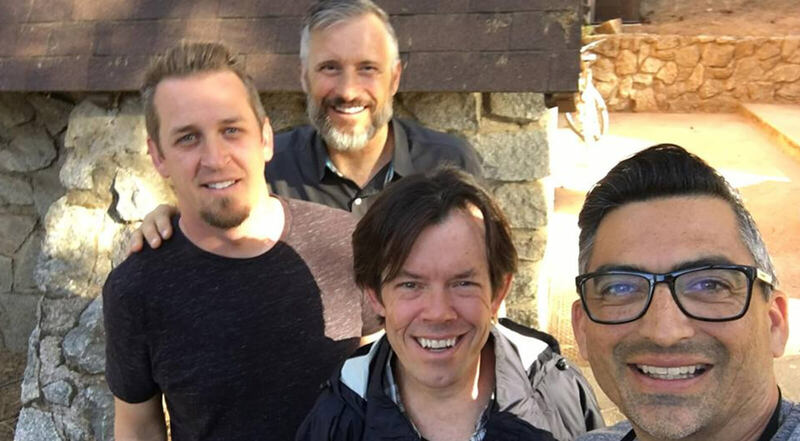 John, along with other Hume Camp veterans like Jay Johnson, Mingo Palacios, and Erik Thoennes have invested years in perfecting the Gospel at play. What many don’t see are their efforts in creating “spontaneous” play by organizing and strategizing about what will bring true joy and mental rest. It’s the pre-investment and post-investment that will lead to success on the ministry field. As they explain, one of the hardest jobs at Hume is that of the recreation leader. With that comes science, philosophy, and physical work to deliver a competitive element that increases playfulness. The challenge comes in creating a balance between spontaneity and unpredictability. The art of soul crafting in nature is something that not even Hume Founder, Walter Warkentin, could have predicted. As a humble farmer, he and his wife Francis, prayed for revival in the Central Valley. They toyed with the idea of launching a Christian radio station, youth camp, publishing company, and bookstore, but ultimately they wanted to follow God’s will. Together with a group of ministry leaders, they each wrote down an idea, placed it in a Bible, and took responsibility for the one that they drew. It was Walter Warkentin who picked out “Christian Camp.” Although it wasn’t his passion, or anything he ever envisioned doing with his life, he wanted to be used by God to bring revival. Seeing the importance of that attitude firsthand are those who sacrifice at Hume Camp, by making beds, cleaning bathrooms, and flipping 2,000 pancakes on a weekend. Through their willingness to serve, they are helping advance the Kingdom. As a professor at Biola University, Erik has challenged his students who “want to change the world,” to start by changing a diaper in the church nursery. While it might not look as impressive on instagram, it will be pleasing to God and minister to those around you.